Check out the most exciting tracks from new releases on our monthly Spotify playlist!. 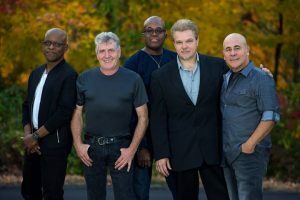 Spyro Gyra is previewing tracks from their forthcoming album during their concerts and it’s going to be a strong one that’s a little off their beaten path. They are putting their own spin on songs that Jay Beckenstein says came from his “old vinyl collection.” They played several during a recent Florida date including “Secret Agent Man” and a remarkable take on “Carry On.” This is a project that follows the tradition of jazz musicians taking popular songs and creating an entirely new thing around them and this group of seasoned, innovative musicians seem to be having the time of their life putting their stamp on them. The album will be coming out later this year. 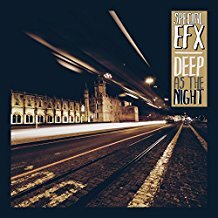 Heritage band Special EFX has signed with the Trippin’n’Rhythm and will be releasing their 311st album Deep As The Night on April 14. The album features long time leader Chieli Minucci and Special EFX regulars Jerry Brooks – bass, Lionel Cordew – drums, Jay Rowe – keyboards, and Mino Cinelu – percussion. Long time collaborator Lao Tizer is featured as are violinist Antoine Silverman and saxophonist Elan Troutman. Label mate Nicholas Cole is producing a radio friendly track that should be hitting the airwaves soon. Contemporary/progressive favorite Lao Tizer has finished recording a new release A CD/DVD that can be purchased separately or together- The Lao Tizer Band Songs from The Swinghouse. The release date is still to be determined and he doesn’t want this one to fly under the radar so he plans an active promotional push. To fund that he has started a campaign on PledgeMusic that gives you the opportunity to pre-order the CD or CD/DVD package or donate to experience everything from private concerts or lessons to dinner with the band. The video on their Pledge Music page will be enough to get you excited about the album, as will the list of musicians who participated. Check it out and pre-order here. Marcus Anderson, one of the most exciting sax players on the contemporary/smooth scene as well as one of the most interactive and prolific is releasing a new set of strong songs, Limited Edition – on 3/17. You can order a signed copy on his website as well as hear a preview mix. Be sure to check out his facebook page and his website. He constantly updates and posts cool real-life moments like playing in church on Sunday morning and hearing his album played on the sound system at his gym. He is doing a lot of concerts and festivals and will be on the Dave Koz cruise in May. Here is a preview mix of the new music.